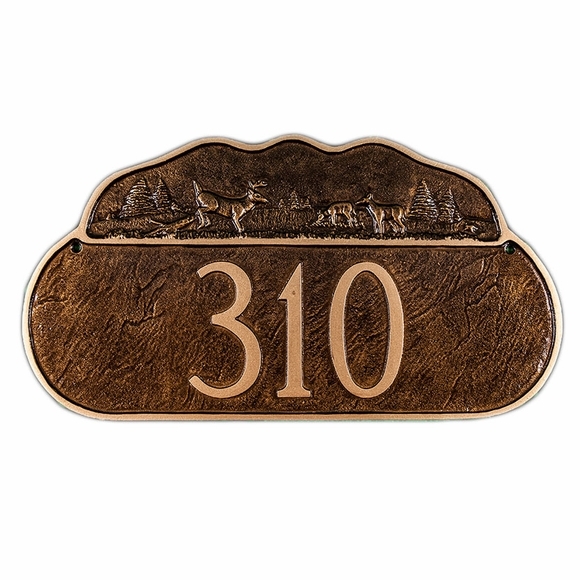 Personalized Address Sign with Deer - - and a subtle forest scene above the address. Made in USA. Aged bronze color as shown above. Personalized with up to five 4" or eight 2" characters. Optional lawn stakes can be purchased along with your plaque.